.... and the answer is that it depends. If you've been attending our centre in Broadway, you'd notice that we have an indoor planter filled with ever-changing greens. 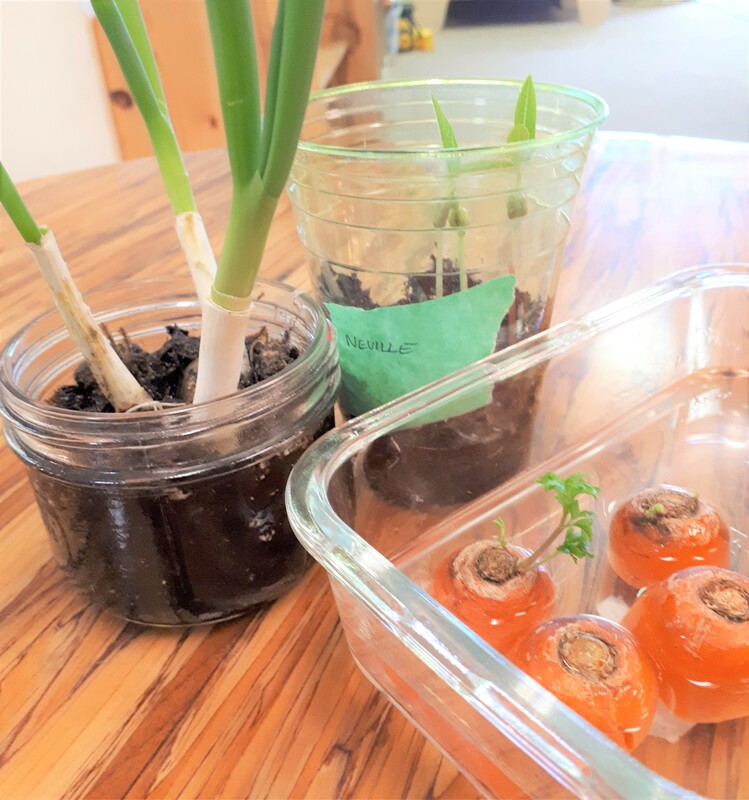 This spring season, our buddies went on a quite a journey as they learned about how plants grow, where food comes from, and how to take care of our environment. We grew magic beanstalks, sprouted lentils, regrew carrot tops, and we even tried to germinate our own Basil and Coriander Seeds. Though some of our planting projects might be a little too ambitious .... I've concluded that a lot of growing happened during our Gardens Grow Big Kids Club. Let's take a look at our data, starting with Exhibit A. What do plants need to grow? Sun, water, and .. CAR-BON DI-OXIDE. Though carbon dioxide is a big word for our buddies, week by week they remember that plants need sunlight, water, and "car-bludh-oside" or, put simply, "Air" (as they exhale) to grow. 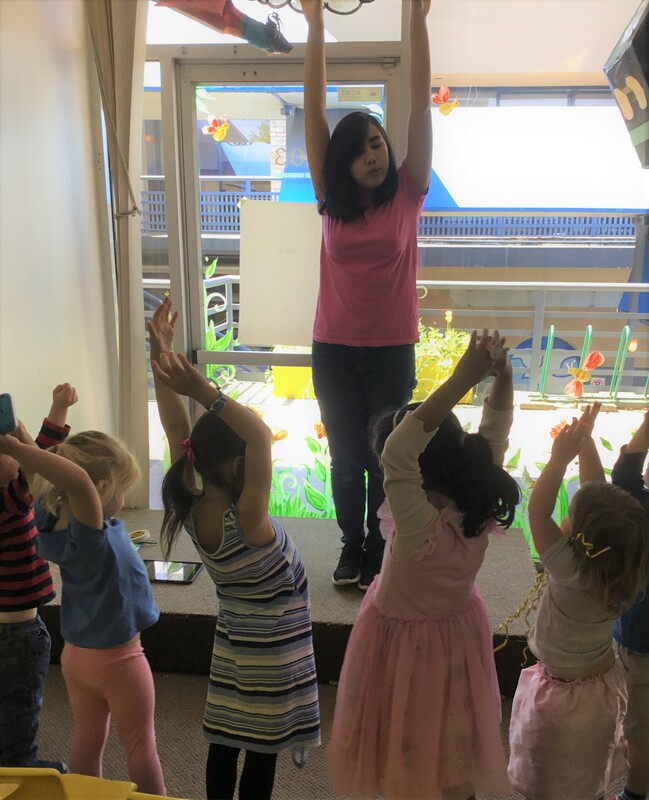 Through active play and involving physical activities in learning, our big kids were able to remember patterns even if they include difficult words. Stretch your hands up to grab some sunlight .. trickle your fingers down to give it some rain .. take a deep breath and blow out the carbon dioxide. Going on a bus ride without your parents can seem a little scary. Luckily, on our field trips, we never have to face it alone. 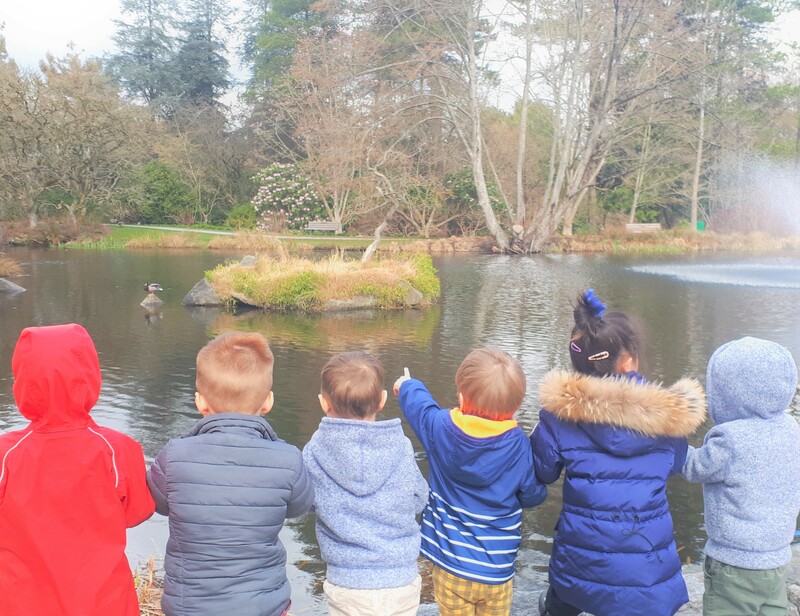 With a faithful friend holding their right hand and a trusted teacher on their left, our buddies are able to go on journeys to nearby gardens and (not-that) faraway lakes without worry. 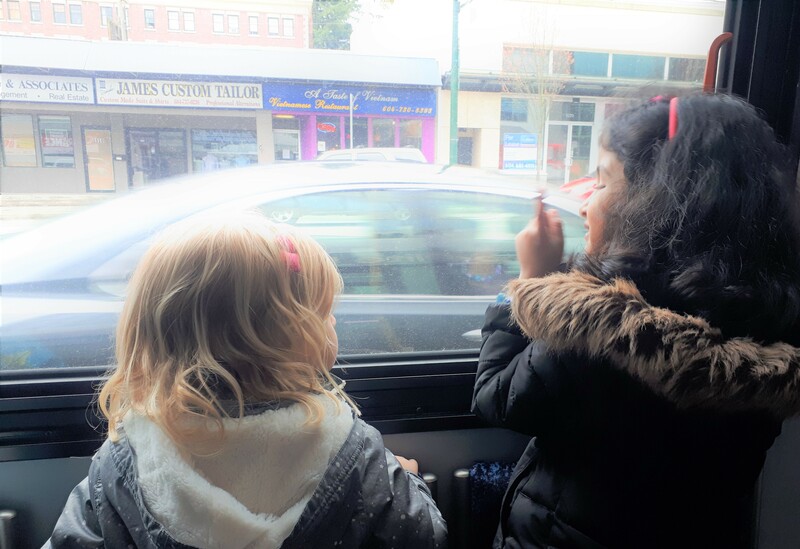 Having the shared responsibility of holding a friend's hand or waiting for a teacher to say that it's safe to cross the road can inspire a sense of empathy in other's safety as well as fostering good listening skills. 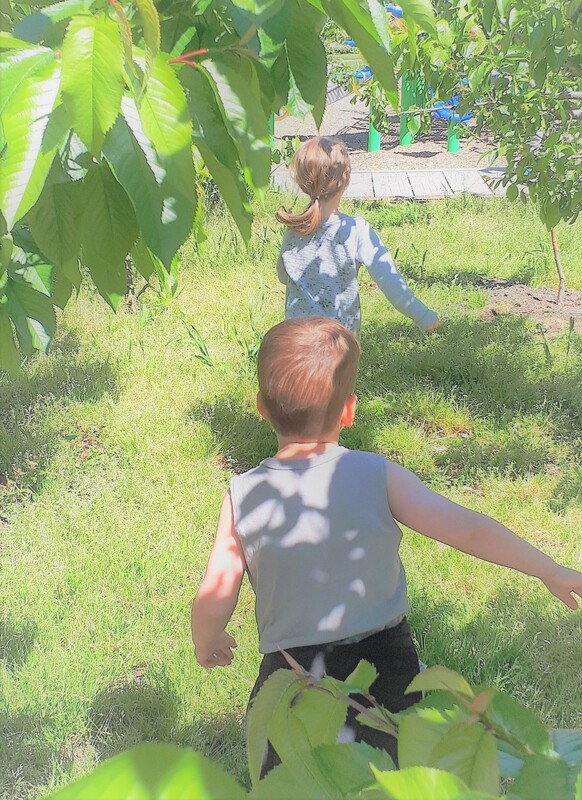 Though 1-4pm seem to pass by quickly, throughout their fun in the sun, our buddies are actually growing and learning the valuable skill of building friendships. 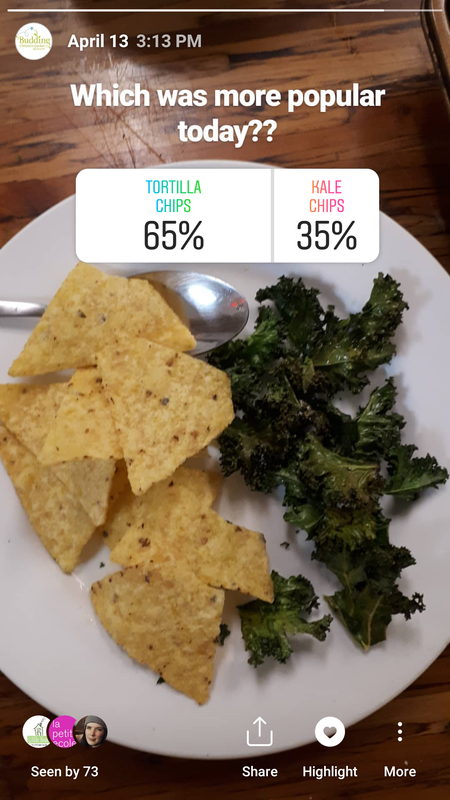 There's a tremendous amount of growth to be seen from a picky eater who came to love Kale Chips, a big helper who tried Potato Salad for the first time after picking out the greenest green onion for his favorite teacher, and a seasoned snacker who discovered that she didn't quite enjoy the flavor of sweet potato (though she was brave enough to try it). 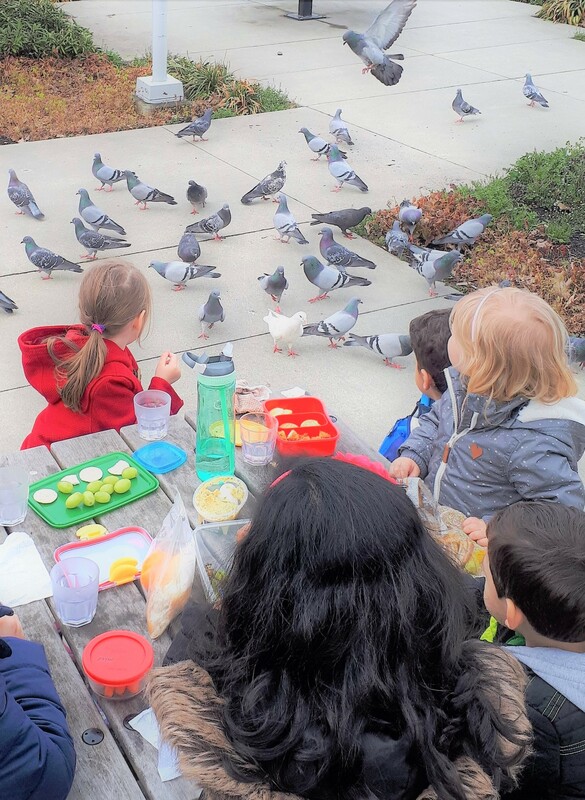 Cooking with new ingredients and challenges, and working with new textures and flavors, are a sure-fire way to get our buddies thinking about what they eat. Tastes become more complicated than "Yummy" or "Yucky". Cooking becomes more than just how we make food, but also a way to show our appreciation to the people that we love. So. 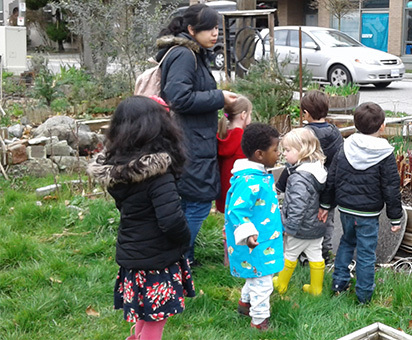 Do gardens really grow at daycare?